Your username and/or password is incorrect to access PixelFire Website Builder. Do not have a PixelFire account? Sign Up Now! 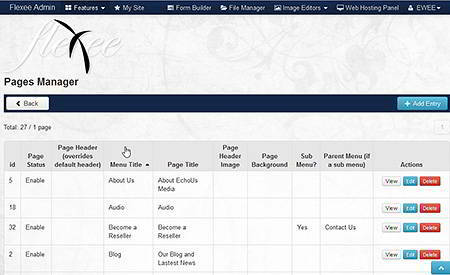 Your username and/or password is incorrect to access eWee Website Builder. Welcome to PixelHive's responsive website builder, PixelFire, an impressive and advanced website builder that is extremely powerful and so easy to use. At PixelHive, we strive to provide the best in web design and technology solutions to help you be your best! We put our customers first. So, what do you get? We start off with; no hidden fees, no misleading fine print, no upselling, and no contracts! Then we thought about what makes a happy customer and we came up with; being honest, providing fantastic customer service, supreme support, offering a risk-free money back guarantee, an affordable monthly plan, tons of web hosting features, easy to use user interfaces & control panels that make it simple for you to manage your online presence, and lots of FREE stuff...you get it all and more. Become more than a customer today. This is a risk-free 30 day money back guarantee. If you're not satisfied, you'll get your money back with no hassle! If you find a better web hosting deal, let us know and we'll do our best to setup a similar plan and beat the price! Hate being stuck to a contract? So do we, and that's why we won't offer it. Do companies still think contracts are cool in 2019? Too many hosting plans gets confusing, so we setup one great plan to get you going. And our free upgrades will help you grow. Free domain, free setup, free month of hosting, free updates, free Web Builder, free backups, free website transfer and more! We're proud to offer some of the best customer service and support. It's our number one obligation and why we build great relationships! Blogs, Content Management Systems, Forums, Image Galleries, Social Networking, Surveys, Frameworks, File Management, and much more! If in any given month we fail to meet this guarantee, we'll reimburse you one full day of hosting for every hour our server is down. We design, build and manage. We offer services in web design, graphic design, video, audio, multimedia production and much more. Here at PixelHive, we've been hard at work developing PixelFire, a new responsive website builder for today's fast paced, mobile lifestyle. It's responsive, smart and fast...don't forget simple! Your website needs to be mobile ready to survive and thrive these days. You're going to need an edge, and that's exactly what PixelFire will do for your business. One site that does it all...no kidding! Being 'responsive' means all content and structure adapts to your device (smart phones, tablets and desktops), providing an optimal viewing experience for your visitors. In addition, PixelFire utilizes the best web technologies to spice things up and makes managing your website easy with its "fill in the blanks" and "multiple choice". Just point, click and go! With PixelFire Website Builder, there's no doubt that it's one of the best and easiest website builders out of the box! It's all included with your hosting plan! We have something new for you! It's called PixelFire. It's one of the most advanced, feature-rich website systems, right out of the box! And it's specially designed for small business. Do you want a fabulous website that does a whole lot more? Would you like to fully manage and customize your own site? Then PixelFire is for you. Our PixelFire system incorporates the latest technology and most popular features. It is also one of the most user-friendly systems on the market and utilizes an easy to use interface. 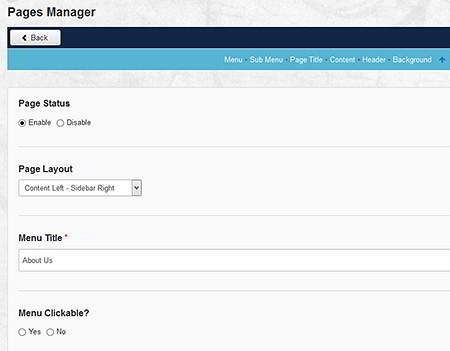 PixelFire makes managing your website easy with its "fill in the blanks" and "multiple choice". Just point, click and go! And yeah - it's mobile ready! PixelFire makes it extremely easy to sort / order many items in your website. 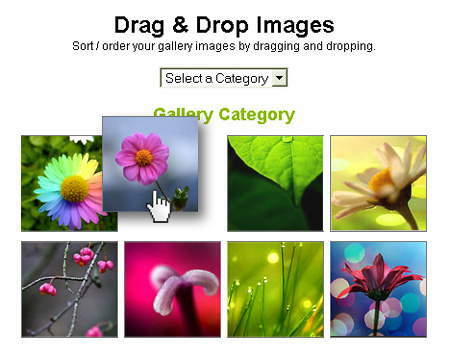 Drag & drop gallery images, reposition shop items, sort and position your site menu, and more. The position is stored automatically when an item is dropped into place...no need for a save button! PixelFire integrates a powerful WYSIWYG editor with a ton of features to help you format and style content. PixelFire snippets are easily accessed via custom drop down menus. 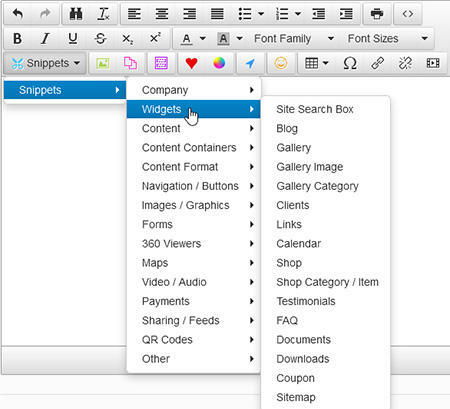 These snippets allow you to use more advanced features, which you may wish to include on a specific page; Google maps, iFrames, image zooms, PayPal payment buttons and much, much more. PixelFire lists all your entries, for each feature/function, on their own respective, individual pages, clearly displaying id, titles and images. Any entries that includes images will display the image as a thumbnail. Each entry displays an edit icon to begin editing your entry and check boxes to select multiple items to delete. You can sort the entries on the page by clicking the table titles. PixelFire is very easy to use. To build/populate you simply fill in forms, it's basically multiple choice and 'fill in the blanks'. Page content area provides you with the option to add images, links, and take advantage of more advanced features like PixelFire snippets, which allow you to add some of the latest and best technologies with ease. PixelFire provides access to a File Manager via each page WYSIWYG editor, plus a quick launch button. 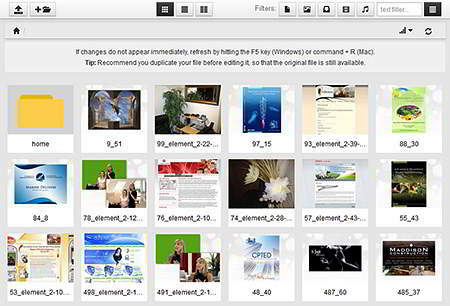 The File Manager allows you to view, manage, create folders and upload single or multiple files. There is a settings option as well to view all files as a list or by thumbnails, display name, size and date. There is also the ability to filter by name, type, size etc. 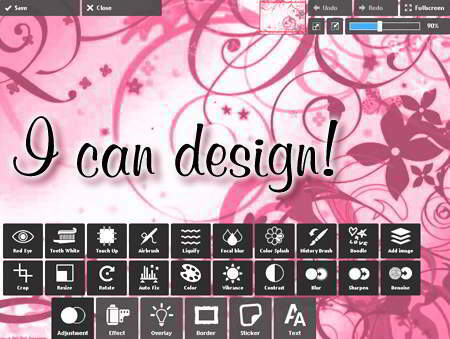 PixelFire includes easy access to an advanced online image editor. It includes popular features like resize, crop, rotate and colour enhancements. But that's not all. There's more advanced features such as; red eye removal, blur, airbrush, layers, overlay effects, borders, text and a lot more. 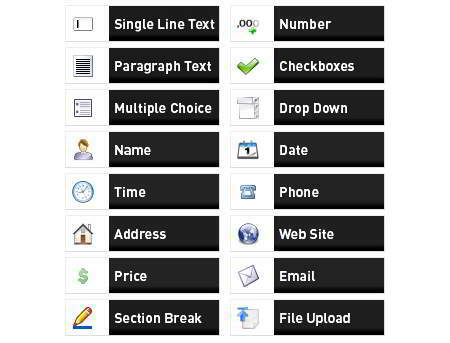 PixelFire provides you with the ability to create customized forms for any page. Setup one or more emails to receive submissions and even forward the form details to the user, with an option to include a custom message. In addition, submissions for each form are housed separately for convenient and easy access/review.